Interested in barbecue meat and party packages? Then check out the quality meat site of PM Eifel. Euregio.Net AG has created this privacy statement in order to demonstrate our firm commitment to privacy. 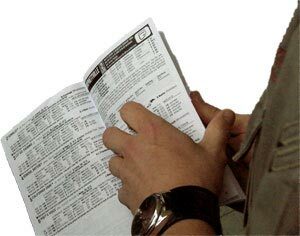 The following discloses our information gathering and dissemination practices for this website: horseracing.be. We use your IP address to help diagnose problems with our server, and to administer our Web site. Your IP address is used to gather broad demographic information such as the country where the requests are coming from. We use third-party advertising companies to serve ads when you visit our website. These companies may use information (not including your name, address, email address, or telephone number) about your visits to this and other websites in order to provide advertisements about goods and services of interest to you. If you would like more information about this practice and to know your choices about not having this information used by these companies, please read on. Our site's registration form requires users to give us contact information (like their name and email address) and demographic information (like their zip code, age, or income level). We use customer contact information from the registration form to send the user information about our Web sites. The customer's contact information is also used to contact the visitor when necessary. Users may opt-out of receiving future mailings; see the choice/opt-out section below. Demographic and profile data is also collected at our site. We use this data to tailor the visitor's experience at our site, showing them content that we think they might be interested in, and displaying the content according to their preferences. This information is shared with advertisers on an aggregate basis - only global and broad information is being shared. No personal information about users is divulged. This site contains links to other sites. horseracing.be is not responsible for the privacy practices or the content of such Web sites. Our site uses an Web form for customers to request information, products, services, tests results and to get in touch with us. We collect visitor's contact information (like their email address). Contact information from the Web form is used to send orders and test results to our customers. The customer's contact information is used to get in touch with the visitor when necessary and to send information about the Web sites. Users may opt-out of receiving future mailings; see the choice/opt-out section below. Our online surveys ask visitors for contact information (like their email address), and demographic information (like their zip code, age, or income level). We use contact data from our surveys to send the user information about our company. The customer's contact information is also used to contact the visitor when necessary. Users may opt-out of receiving future mailings; see the choice/opt-out section below. Demographic and profile data is also collected at our site. We use this data to tailor our visitor's experience at our site, showing them content that we think they might be interested in, and displaying the content according to their preferences. This information is shared with advertisers on an aggregate basis. Advertisers receive a global overview about the demographics. No personal information about the user is divulged. We run contests on our site in which we ask visitors for contact information (like their email address), and demographic information (like their zip code, age, or income level). We use contact data from our contests to send users information about our company. The customer's contact information is also used to contact the visitor when necessary. Users may opt-out of receiving future mailings; see the choice/opt-out section below. Demographic and profile data is also collected at our site. We use this data to tailor our visitor's experience at our site, showing them content that we think they might be interested in, and displaying the content according to their preferences. This information is shared with advertisers on an aggregate basis. No personal information about the user is divulged. This site makes chat rooms, guest books, forums, message boards, and/or news groups available to its users. Please remember that any information that is disclosed in these areas becomes public information and you should exercise caution when deciding to disclose your personal information. This site has security measures in place to protect the loss, misuse and alteration of the information under our control. User information is stored on our servers in secure locations and cannot be downloaded. Data that is transferred to our staff is encrypted and password protected. Only those staff members who need to access the information can do so. Copyright © 2011 by Euregio.Net AG. All Rights Reserved. This site is for your personal entertainment only. Don't bet your future on it!